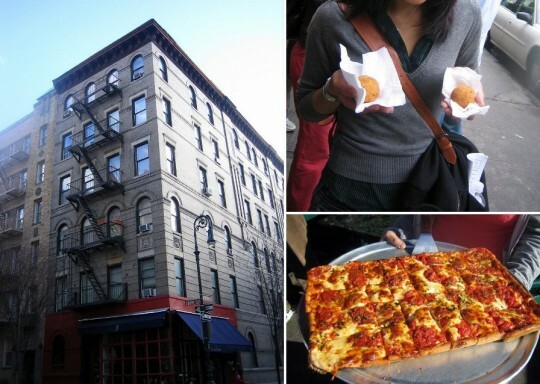 There’s no trippin’ like a food trippin’ experience in New York City! This is our 2nd time in NYC and we were so happy to be there during the holidays to celebrate my early birthday. It’s a good thing we got all the touristy stuff out of the way on our first visit to NYC. This time, it’s all about food! 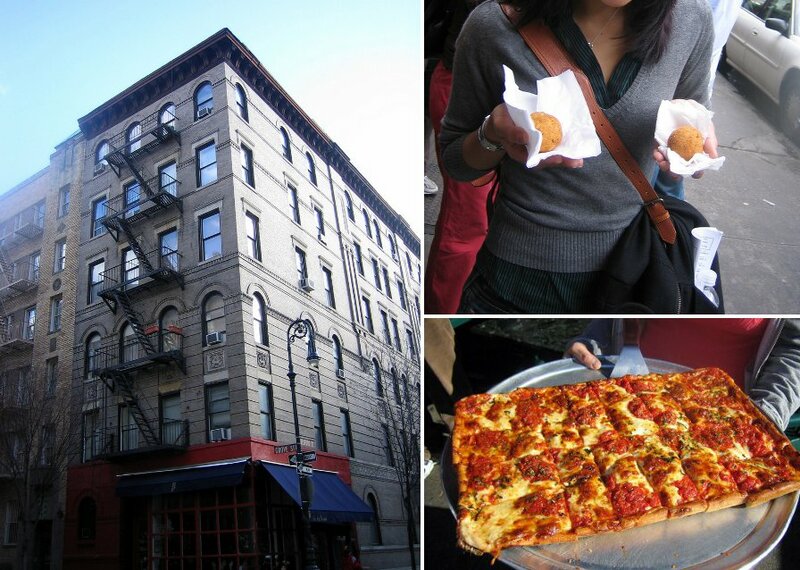 For the best bang for your buck, New York food trippin’ experience, make sure you make a reservation for the Greenwich village food tour with Foods of NY Tours! A first for us, a food tour, hands down the most unique tour experience we’ve done thus far.. and filling. The tour took us in and around Greenwich Village sampling tasty morsels at 8 or so different restaurants, bakeries, etc. They also managed to squeeze in some culture and history from the area and we even go to see the “Friends” apartment building. 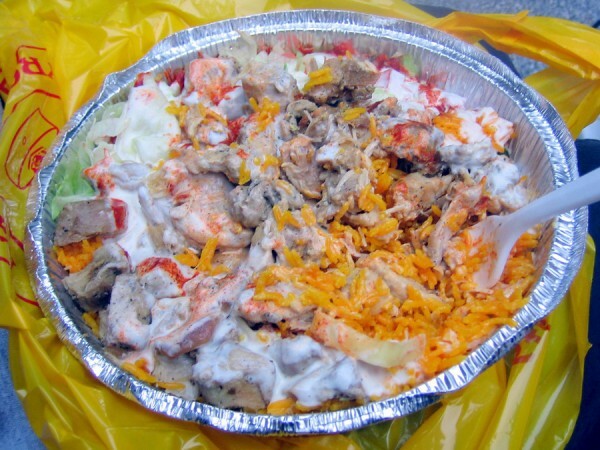 Here are a few other ways to enjoy NYC through your stomach. For..
breakfast on the go, head to Balthazar’s bakery. The lines at Balthazar in SoHo is always long. But if you’re smart, you’ll skip the restaurant and head straight to their bakery. Pick up a banana nut donut before heading over to meet up with your Greenwich Village Food Tour. the most votes — best in pancakes, best breakfast/ brunch and more — Clinton’s Street Bakery is the place for you. 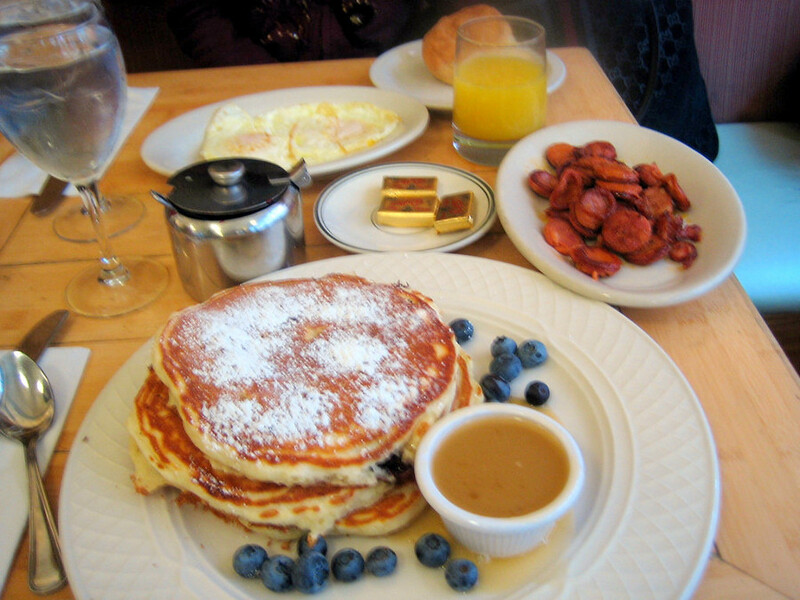 the splurge for brunch, it’s here at Norma’s inside Le Parker Meridien hotel. I’m talking major splurge here people. Like the kind where you’d pay $11 for a big bowl of no hassle grapefruit, $21 for melted gooey four cheese omelet, and what will surely break the bank, the zillion dollar lobster frittata topped with a 10z Sevruga caviar for only $100. If you’ve got a $1,000 to spare, your frittata comes with 100z of Sevruga caviar! an institution, your New York pizza experience has to be at Lombardi’s. It’s the original. The pizza that trumps all pizza. It’s a must. 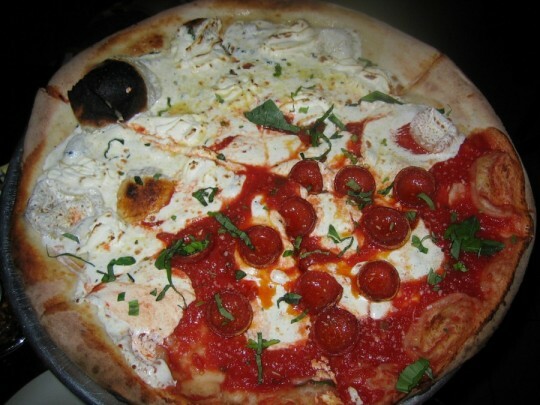 After your food tour in Greenwich village, head back to SoHo for a little shopping before ending the perfect day with dinner here at Lombardi’s. the ultimate dessert bar, Chickalicious is a first for NY — a prix fixes multi- course meal that is centered around dessert and just dessert. street food find, seek out the Halal Food Cart at 53rd and 6th. But we warn, there are a lot of fakes within that square block. Just look for the one with the longest line. pleasantly surprised, Mario Batalli’s other, cheaper restaurant — Lupa. Your must try dish has to be beets with pistachio antipasti. Trust me on this one. traditional NY classic cheesecake, Junior’s cheesecake. And you’re in luck, there’s a Junior’s inside the Grand CentralTerminal station! Share your NYC indulgence in the comments!